The Boxer, originally uploaded by bill kralovec. What an amazing place! I visited the Metropolitan Museum of Art, located next to Central Park in Manhattan. It is the third largest art museum in the world and one could spend literally months there, studying and appreciating all styles of art from around the world. It is an impressive collection of statues, paintings, rugs, weapons, etc. from ancient history to the modern era. I could have spent a lot longer there. I would like to go back. Above is one of the featured temporary exhibition called “The Boxer“. It is a statue from ancient Rome and is over 2000 years old. 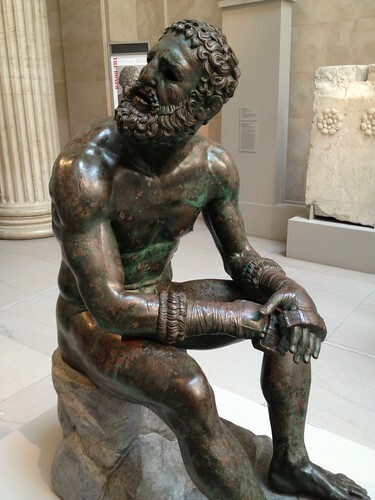 The realistic quality of the bronze statue is breathtaking and awesome to realize that it is that old. In a world before photos or videos, this may be as close as one gets to seeing how it was back then. The life size statue even has inlaid copper to represent blood. It is also interesting to think about how long boxing has been around and the scars and equipment on the statue, show how brutal the sport was, and to some extent, still is. The statue was found in the late 1800’s in Rome, and the experts suspect it was buried to hide it from the barbarian hordes that we overrunning the city. I wonder how many other works are buried? 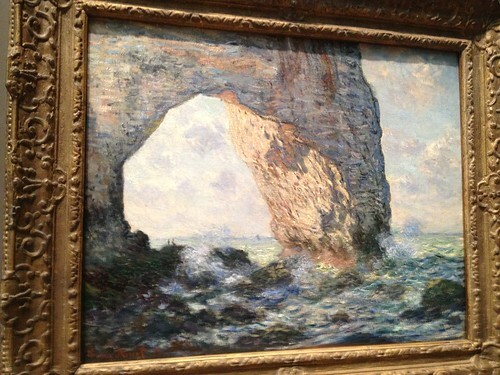 Above is a Monet painting that caught my attention. Monet led the Impressionist movement in art which featured thin brush strokes, emphasis on the changing light, ordinary landscapes, and a sense of movement. The painting above is of a rock formation on the Normandy coast. It is amazing to be that close to a world masterpiece. Finally for my Serbian readers, I was really fascinated with the Ottoman gallery. 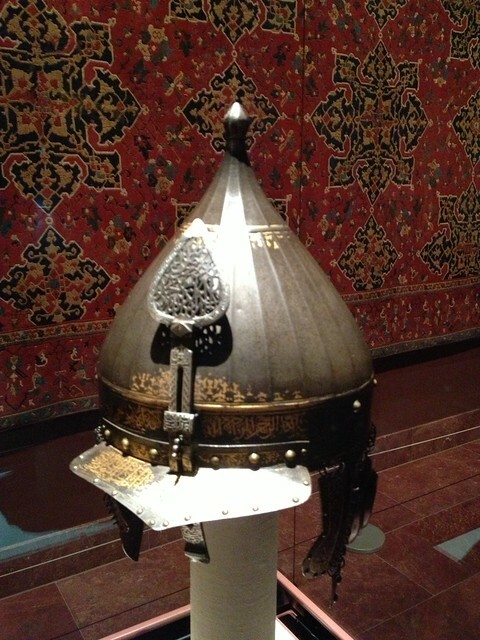 Below is a helmet from the 16th century workshop of Sultan Suleiman The Magnificent, who personally led the Ottoman Empires to conquer Belgrade in August of 1521. The inscription on the helmut reads “Help From Allah, and a Speedy Victory”. That style of helmet probably inspired fear and loathing for generations of Serbs. I also wondered how many times nations have asked for these historical pieces to be returned to the home country. I guess this would be often. Judging on the amount and variety of people at the museum, they probably get more exposure here than anywhere else. What a magnificent collection of history!